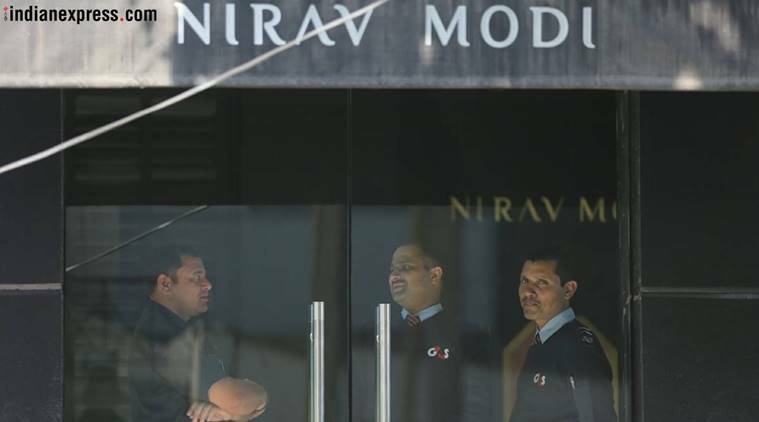 PNB fraud: Lookout notices for Nirav Modi and his family; homes and offices searched. 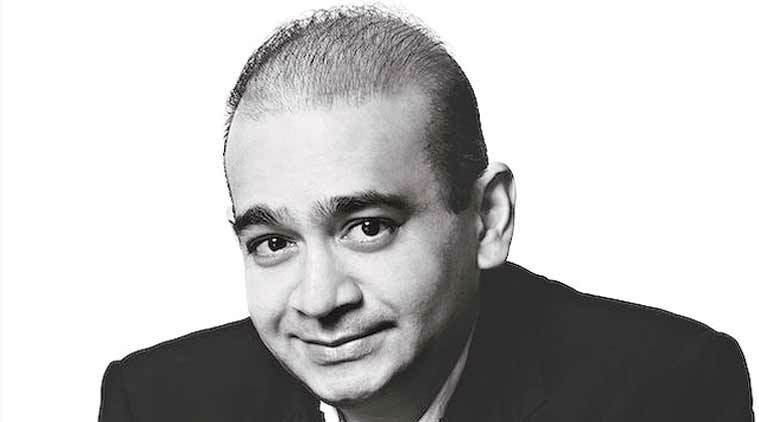 As investigating agencies pore over documents seized from premises connected to jewellery czar Nirav Modi in connection with the Rs 11,000-crore alleged fraud in Punjab National Bank, evidence has emerged of an additional Rs 3,000 crore worth of exposure of 17 banks; rolling over of the same Letters of Understanding (LoUs) many times and alleged round-tripping of funds. Sources said that as many as 17 banks lent about Rs 3,000 crore to various firms of Nirav Modi, including his flagship firm Firestar International Ltd. 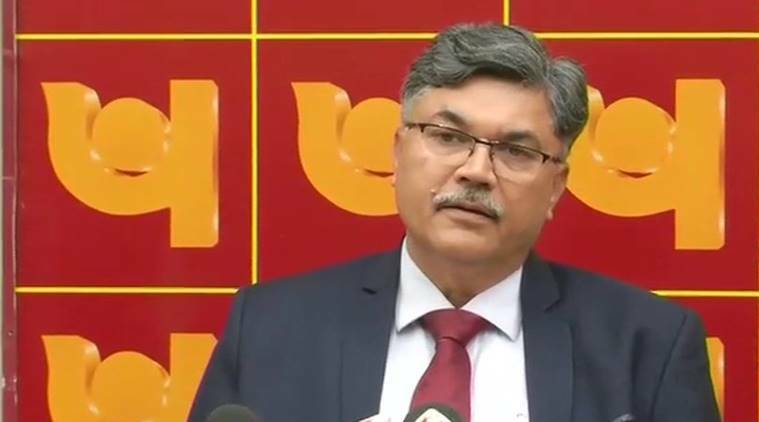 These include, besides PNB, Cenral Bank of India (Rs 194 crore), Dena Bank (Rs 153.25 crore), Vijaya Bank (Rs 150.15 crore), Bank of India (Rs 127 crore), Syndicate Bank (Rs 125 crore), Oriental Bank of Commerce (Rs 120 crore), Union Bank of India (Rs 110 crore) and IDBI Bank and Allahabad Bank (Rs 100 crore each). 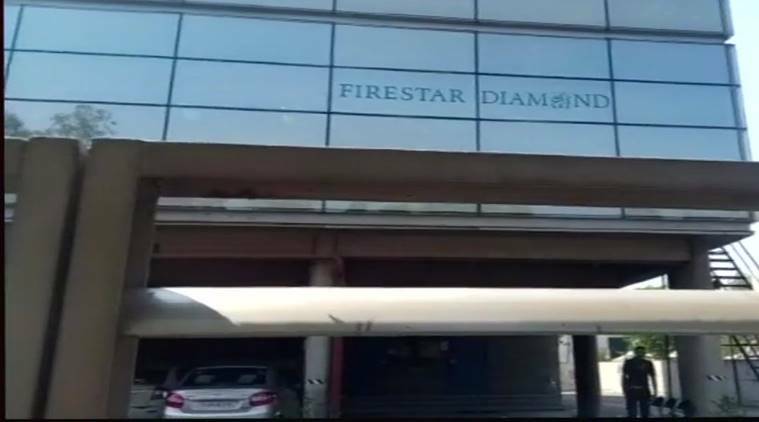 Data accessed by The Indian Express shows that these banks, individually and as a consortium, lent Rs 1,980 crore to Firestar International — as on June 2015, the most recent date for which data is available. Apart from this, these banks extended another Rs 500 crore in “non-fund based facilities” such as guarantees or LoUs to the company. Of this, Rs 90 crore has been repaid by Firestar International. The CBI and ED have found that a large chunk of the Rs 11,000-crore bank money allegedly swindled by Modi may be connected to round-tripping or money laundering. Documents seized during 21 raids conducted by CBI and 17 searches carried out by ED at premises connected to Modi and his relatives have revealed that money was allegedly withdrawn from offshore accounts of various banks not only through issuance of fresh LoUs from Punjab National Bank (PNB) but even renewal of old ones – an illegal activity, according to investigators. The discovery not only raises doubts on the integrity of certain bank officials involved in these transactions but also puts a question mark on the audit processes put in place by the RBI, investigators said. Both agencies have begun the process of tracing and getting Nirav Modi back to India. While CBI has got Interpol Diffusion Notice issued to various countries to trace Modi, ED has moved MEA for cancellation of his passport. Sources said that companies associated with Modi and his relatives got 150 LoUs issued between 2011 and 2017 leaving an outstanding of over Rs 11,000 crore for PNB to pay to foreign branches of several banks. However, not all of these LoUs were fresh. “A large number of LoUs have been found to be LoUs issued to only carry forward the previous balance in order to not pay within the stipulated time. This way the amounts have kept piling up and added to this massive debt,” an official said. The official explained that LoUs are issued for a period of three months. This simply means that the amount guaranteed through the LoU availed at an offshore destination needs to be paid back to the bank within that period along with interest. “What Modi’s companies did was to approach PNB close to the expiry of the LoUs and get them renewed with interest amount added. This gave them three more months to pay. They kept doing this to carry forward the money and not pay PNB. This kind of renewal is just not allowed and amounts to money laundering. How it escaped scrutiny for so many years is what we are now investigating,” the official said. Sources said that the episode has also flagged lacunae in the RBI’s audit process. They said even though PNB officials who had issued LoUs had not entered the same in the bank’s account books, had RBI auditors tallied the SWIFT (messaging network used by financial institutions across the world) messages with the books of PNB, the anomaly could have been exposed. “Also, the banks on foreign shores kept their outstanding with PNB for so long and continued to issue buyer’s credit on LoUs raises doubts about the role played by some officials in these banks. All these issues are under probe,” an ED official said. Sources said given the scam, investigators suspect a majority of these transactions would have taken place in the last couple of years. 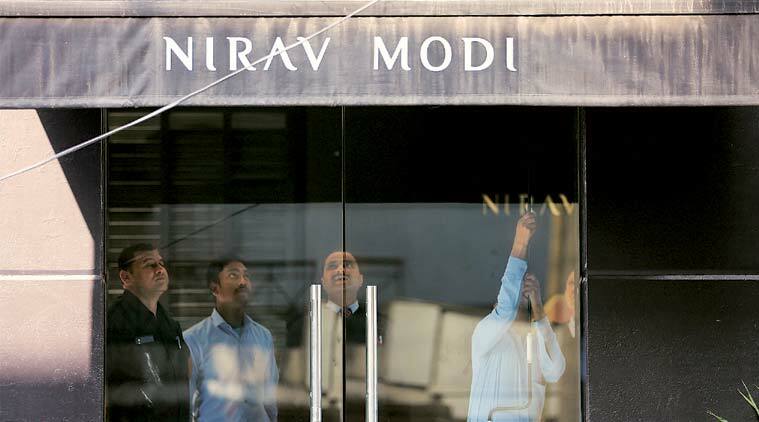 ED sources said that Income Tax department had last year searched offices of Nirav Modi and detected an alleged tax evasion to the tune of Rs 500 crore. “We have sought documents seized by IT department and details of their investigations,” an official said. Meanwhile, ED has seized assets worth over Rs 5,100 crore in jewellery, diamonds and precious stones belonging to Nirav Modi and his relatives. These also include Rs 3.9 crore in bank fixed deposits. Sources said Rs 3,800 crore worth of jewellery and diamonds were recovered from Hyderabad alone from the stores of Modi and his relatives. Among the locations searched on Thursday by ED were four premises in Mumbai: Modi’s boutique in Kala Ghoda, his processing factory in Kurla, the diamond vault of Firestar Diamond Pvt Ltd at Bharat Diamond Bourse in Bandra-Kurla complex, and the corporate office of Firestar International in Lower Parel. In Delhi, the agency raided Modi’s jewellery boutiques in Chanakyapuri and Defence Colony. Apart from this, ED raided Modi’s diamond units in Sachin SEZ at Surat and also visited his two residences in Mumbai — on Peddar Road and Worli. Stores in Hyderabad and Jaipur were also raided by ED. CBI, on the other hand, recovered 95 documents relating to import bills and applications related to imports from the offices of the accused during searches carried out on February 3-4. It also seized several computers whose imaging has been completed. The CBI said it had issued a lookout circular against Modi, his wife Ami Modi, brother Nishal Modi and maternal uncle Mehul Choksi of Gitanjali Group on February 4. “Modi and his brother Nishal Modi left India on January 1, Choksi left the country on January 4 and Modi’s wife left on January 6. Nirav’s wife is a US citizen while his brother Nishal – both accused in the case – is a Belgian citizen. The agency received the complaint against them only on January 29. “We conducted searches at 21 places connected to Modi — 13 offices and eight residential premises — and issued a lookout circular when we found that all the four accused were outside India,” a CBI officer said. Sources said the CBI also sealed the posh sea-facing house of Modi in Worli. ED too has sealed five premises connected to Modi. 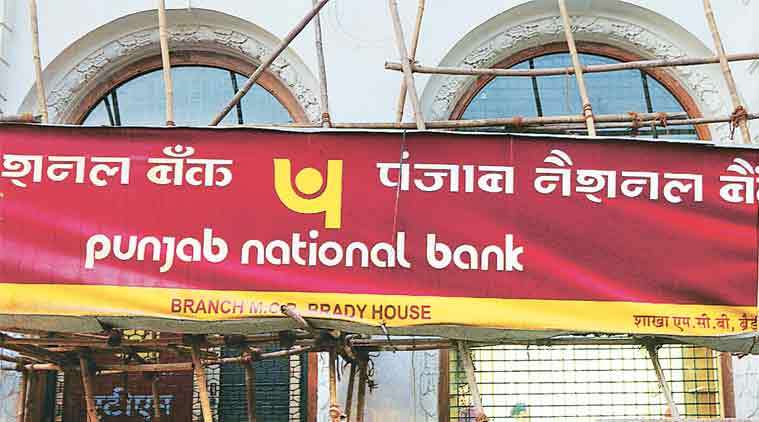 The four partners have been named by the agency in its January 31 FIR after it received a complaint from PNB alleging fraudulent issue of letters of undertakings on behalf of Modi’s firms from one of its branch offices in Mumbai. The CBI FIR has been registered under IPC sections related to criminal conspiracy, cheating and provisions of the Prevention of Corruption Act. The FIR said a few public servants “committed abuse of official position to cause pecuniary advantage to Diamonds R Us, Solar Exports, Stellar Diamonds” — all promoted by Nirav Modi. ED has filed a case of money laundering based on the CBI FIR. The PNB, in a regulatory filing, said fraudulent transactions on behalf of Modi’s firms totalled Rs 11,000 crore. The bank said two of its employees have “fraudulently “ issued eight LoUs and “transmitted SWIFT instructions to the overseas branches of Indian Banks” to raise buyers credit for Modi’s firms without “making entries in the bank system”. In its complaint, the bank alleged that fraudulent issuance of LoU took place on January 16 for and on behalf of the accused firms, which approached the bank and presented a set of import documents to the branch with a request to allow buyers’ credit for making payments to overseas suppliers. The bank officials requested the firms to furnish 100 per cent cash margin for LoU for raising buyers’ credit. The firms contested this, saying that they availed of this facility in the past too, the complaint, which is now a part of the FIR, stated. But branch records, it said, did not reveal details of any such facility granted to the firms. The bank alleged that its deputy manager (now retired) Gokul Nath Shetty and another employee, Manoj Kharat, had fraudulently issued LoUs to Modi’s firms. The bank has now suspended at least ten officials in connection with the case and submitted copies of at least 150 fraudulently issued LoUs to the CBI. Curiously, in its complaint to the CBI, PNB has named only two officials. Meanwhile, in a press conference organised by the Congress it was revealed that one Hari Prasad had sent a complaint to the Prime Minister’s Office regarding alleged bank frauds being committed by Nirav’s maternal uncle Mehul Choksi way back in 2016. However, CBI on Thursday said it did not receive any complaint or reference from the PMO for verification.